The messy pixie cut is a hairstyle that many celebrities have sported in the last few years. They are popular because they flatter most face shapes, are easy to maintain and yet still look decidedly feminine. 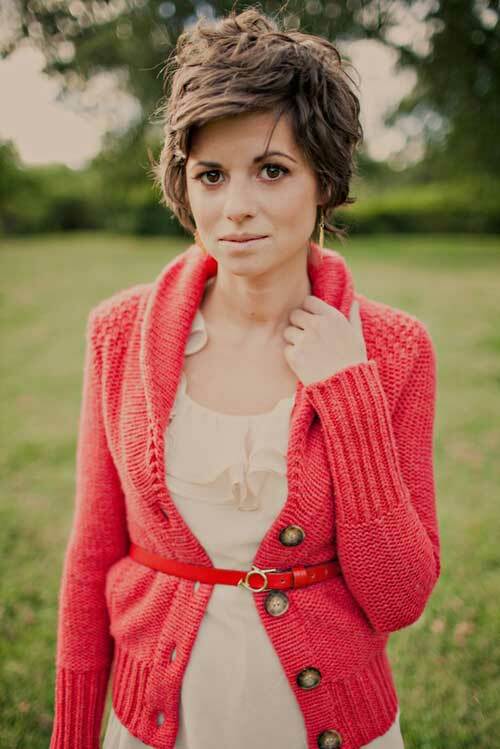 There are five types of messy pixie cut haircuts: tousled, textured, spiked, choppy and shaggy. Tousled pixie haircuts are youthful and cute. They are most often seen on younger people and give the appearance of having just rolled out of bed and headed off to deal with the everyday. This is a pixie cut that works best with slightly longer locks that can be sprayed with a sea salt spray and scrunched with the fingers then left to settle however. Textured pixie cuts require a little bit of product. A little bit of hair wax or some gel helps to separate the strands so that a more uniform and stylish look is presented rather than the jumbled appearance of the tousled pixie. A spiked messy pixie cut is great for those with a round face. You want height to help elongate and thin the face and using product to bring the hair up into spikes offers the height needed. Going with slightly longer locks allows you to texture as well as spike, giving a look that is both trendy and sophisticated. Choppy pixie cuts are distinguished from spiked cuts by virtue of the cut itself rather than the styling. Chops are cut into the hair that can be styled together. It gives the appearance of softer “spikes” along the hairline, rather than at the top of the head. Shaggy pixie cuts combine the timeless ease of the shag with the shortness of the pixie. The key to this look is to do as little styling and to use a little product as possible! The shag should look and feel natural.